Over the past week, our country experienced the very inspiring exposure of two loves emanating from two worlds. Those worlds are best defined as cultures that exist within the European-American and the African-American spheres juxtaposed within the geographical boundaries of the United States. Those two loves, though entrenched in the different cultures, are examples of our oneness. That oneness that is as diversified with all races, religions and ideas as you can experience anywhere in the world. One of those loves was on display at the Greater Grace Temple in Detroit, Michigan, the church that held the funeral service for Ms. Aretha Franklin, the Queen of Soul and the epitome of what was and still is good and wonderful about the African American community, one world. Ms. Franklin chose Greater Grace because she sang there for Ms. Rosa Parks funeral. The other love was on display at the National Cathedral in Washington, D.C. the magnificent edifice where the soldier, warrior and statesman John McCain’s final service was held. 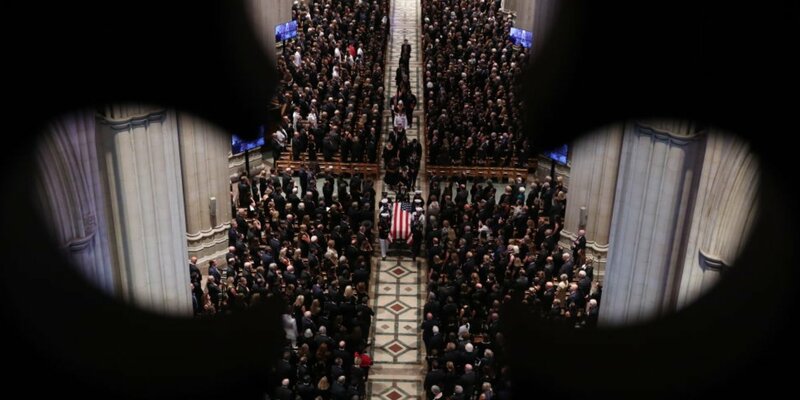 McCain chose the National Cathedral as the appropriate place for a man who had dedicated his life to a career in the Senate and the military. For seven hours, the service at Greater Grace Temple erupted in a celebration of joy and life as only an African American funeral can do. Its roots lay deep in the past, historically entrenched in one room churches throughout the South right after slavery, and in the urban churches as Blacks made their way to the North seeking a better life. The music was the music of a people’s soul that began as spirituals in the cotton fields and evolved to gospel in the urban areas and brought to life by a gifted writer, Tommie Dorsey. The call and response are as old as the Black church. It is a technique used to get the congregation to be a part of the service. Baptist ministers are famous for using that as a method to liven the people and that is exactly what happened in Greater Grace Temple. It was appropriate that Ms. Franklin’s home going ceremony be full of life because she certainly was. All seven hundred men, women and children who were fortunate to get a seat inside of the Temple, gave her the love as only they knew how to deliver it. The warrior/statesman’s funeral was much staider, less life, no call and response, no one was up in the aisles raising their arms and even dancing as was the case in Detroit. But the love was there, and it was displayed in a European-American ceremony. 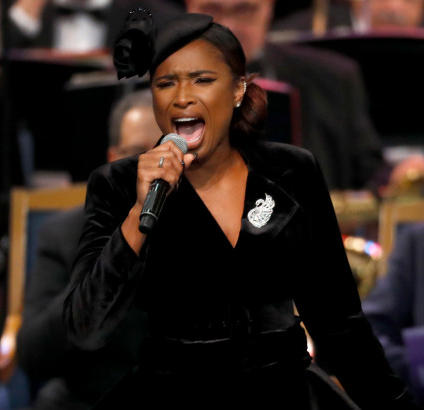 The most compelling examples of these distinct differences was how “Amazing Grace,” was performed by Jennifer Hudson in Detroit and the Brophy Student Ensemble rendition at McCain’s ceremony. 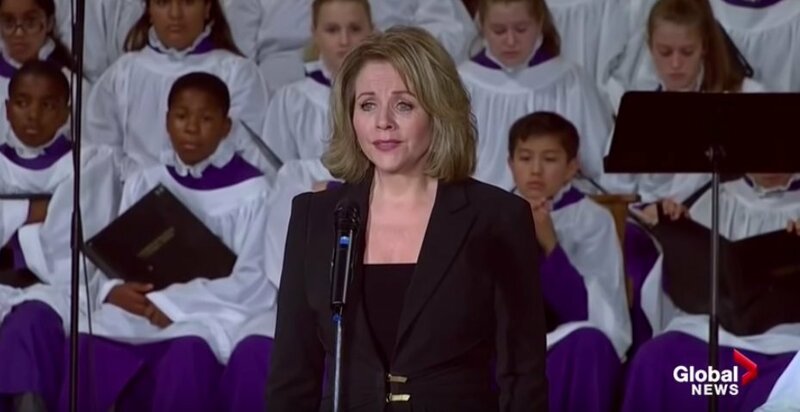 Renee Fleming’s rendition of “Danny Boy” was appropriate for the McCain service and brought tears to Mrs. Cindy McCain. 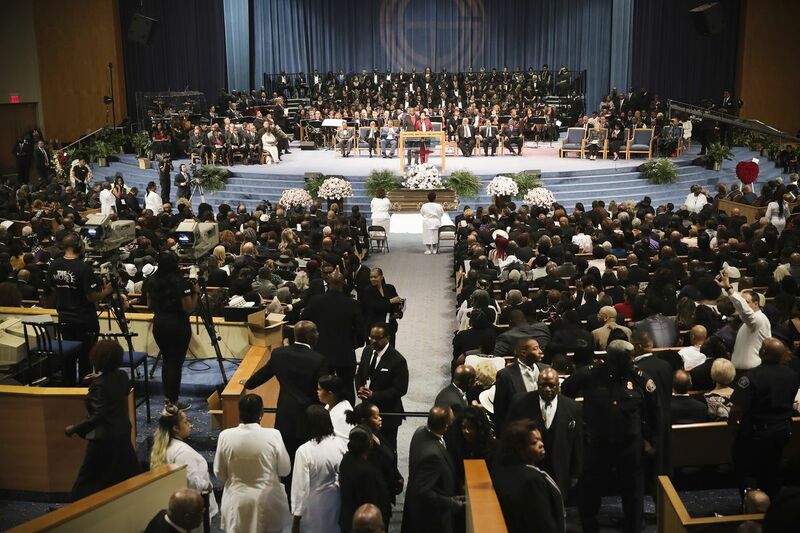 However, when you heard Gladys Knight sang “Bridge Over Troubled Water,” as a tribute to the memory of Ms. Franklin, you felt the emotions throughout the Temple as the congregation was again on their feet, lifting their arms high in the air and closing their eyes in prayer. The very important observation to be pointed out is that both services took on the demeanor of the two cultures, but they both showed the deference and respect to the two Americans who, in their own way, represented what is best about this country. And that is very important and much needed in these times of trouble in our land.